Leo Tools - bright template internet - shop based component VirtueMart, developed by a professional team LeoTheme. Sleek and stylish appearance is perfect for organizations with online commerce easy viewing and ordering materials. This template supports adaptive design, contains 4 preset color schemes, and has good optimization and fast download speeds. 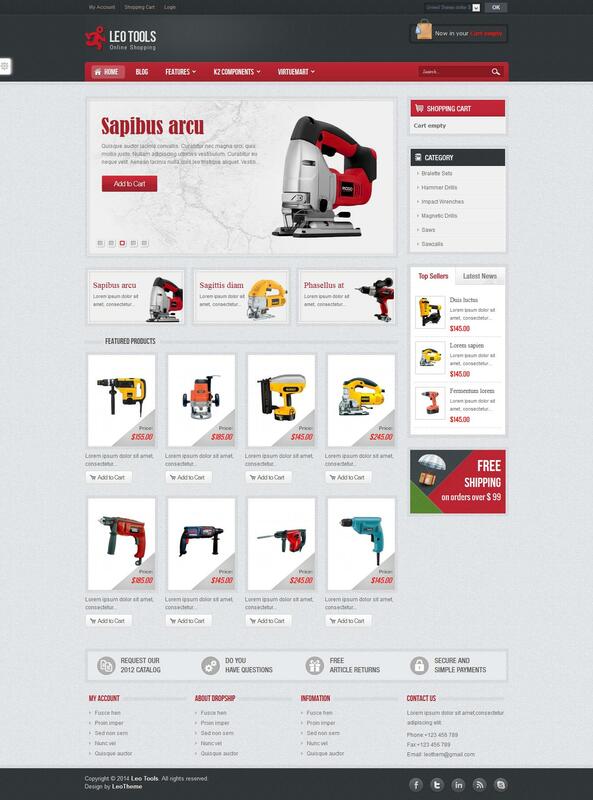 The flexible modular design allows optimal place all the items on the site. Availability proprietary platform Leo Framework allows you to quickly and conveniently set up the basic parameters of the template. Integrated support for component K2 will provide new possibilities for publishing material on the site.